While obtaining auto insurance is a legal requirement for ALL drivers, it’s estimated that around 20 percent of drivers in Texas do not even have basic liability protection. This is why it is so important for drivers to ensure they have uninsured motorist coverage through their own insurance provider. 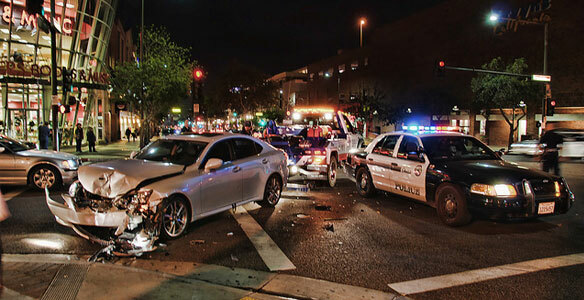 In the state of Texas, all drivers are required to carry liability insurance with a minimum coverage of at least $30,000/$60,000 ($30,000 per person injured; $60,000 total injury coverage per crash) as well as $25,000 in property damage coverage. This is a absolute minimum required coverage in Texas, and just about every single insurance company out there offers plans with higher coverage for good reason. If you’re involved in an accident with a driver who only has bare minimum coverage, their insurance company is not legally obligated to pay more than $30,000 toward your medical bills, lost wages, or pain and suffering (and even obtaining policy limits can be extremely difficult without an attorney). In the same vein, if you were hit by an uninsured driver (or a driver who fled the scene), you’re going to be put in a very tough spot. Luckily, many Texas drivers have uninsured motorist coverage (and personal injury protection coverage) for this exact reason. With uninsured/underinsured motorist coverage, you’re essentially filing a claim against your own insurance company. This doesn’t mean that your insurance company will cover all of your related damages (after all, their goal is to pay out as little as possible on every claim), but this is why it’s always advised that you speak with an attorney if your accident results in a potential personal injury claim. Injury claims are highly-contested by insurance companies, and handled entirely different than property-damage-only claims. If you’re unsure whether or not you have UM/UIM coverage, look at your paperwork or call your insurance provider. This type of coverage is usually included by default with most insurance policies in Texas, and to opt out, you actually have to explicitly decline coverage in writing. Personal injury protection (PIP) is another type of coverage available through your insurance provider. PIP is similar to UM coverage in that it’s included in your policy unless you decline it in writing, but provides you with an instant source of compensation (regardless of fault) almost immediately after an accident. While uninsured motorist coverage is extremely helpful, these claims are not usually cut and dry. Your own insurance companies may disagree with the value of your claim, and will not make the process easy on you. They may argue that your injuries aren’t as severe as you claim, that your injuries aren’t related to this accident, or that you were partially (or fully) to blame for the crash. In fact, you may remember how Progressive was called out a few years ago after being accused of funding the legal defense of the driver who CAUSED an accident that resulted in the death of one of their own policyholders. The victim’s family says that after she was killed by a driver who ran a red light, the other driver’s insurance policy paid out, but it did not cover the total value of the claim. They filed an underinsured motorist claim with Progressive to cover the difference, who then refused to pay the policy. What’s worse, it appears that Progressive actively worked to defend the OTHER driver in hopes a jury would put liability on the victim in order to save their company money. This is unscrupulous behavior, but it happens all the time. Insurance companies use every trick in the book to avoid paying a claim, even if it means letting their own policyholder languish and suffer. This is why personal injury attorneys exist, and why victims should ALWAYS consult with a lawyer before attempting to handle their own claim. If you have questions, we urge you to seek out a free consultation with a car accident attorney in your state. Most personal injury lawyers are more than happy to discuss your case, the options available to you, as well as whether or not they believe they can help. If you decide to hire an attorney to help with your claim, make sure they work on contingency. This way, your attorney only gets paid a fee if and when they win your case and put money in your pocket.